Synopsis: Multi Breaker is the art of break bricks faster than his opponents. You do not play alone but against an opponent in duels where sending penalty is more fun! And you have goals in the manner of Candy Crush. 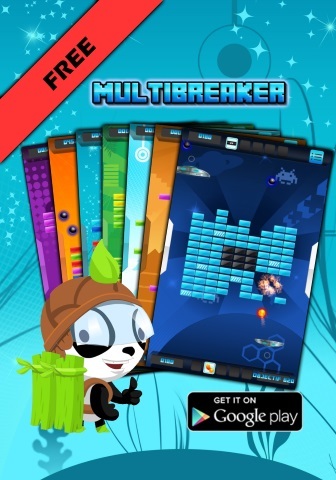 Multi Breaker is the revival of the famous game Breakout. The art of breaking bricks faster than his opponent! To be achieved for each party to win even more money. Rewards when you win with 3 stars. Hours of gameplay with different objectives. And a soundtrack worthy of arcade machines 80's by artist LukHash!